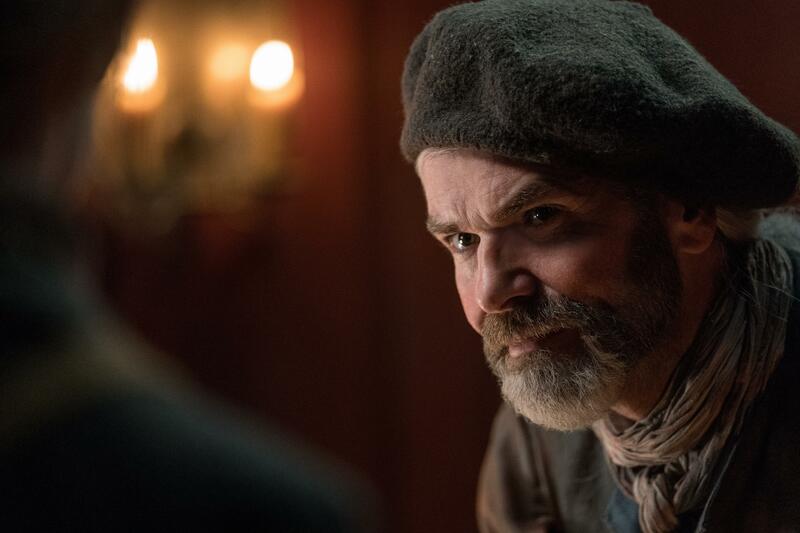 Murtagh is back! The Scotsman made his long-awaited return to “Outlander” in Sunday’s episode, but readers know the Starz TV show is going off the books with this storyline. They believe they could be combining his character with another man from the Diana Gabaldon novels, and actor Duncan Lacroix has addressed that theory. In the novels, Murtagh died in the Battle of Culloden. On the TV show, however, Season 3 revealed that he survived and was in prison with Jamie. Season 4 brought him to the New World, and he is one of the rebels who will help start the American Revolution. While the show depicted Murtagh in Ardsmuir Prison with Jamie (Sam Heughan), they didn’t bring in another prisoner, Duncan Innes. In the books, Jamie found Duncan again after they both got out. Jamie gave Duncan work and eventually went aboard the Artemis with him and Claire. After they settled in North Carolina, Duncan started working for Jocasta, who he eventually married. With no Duncan in sight, it seems like Murtagh could be replacing him. However, Lacroix says that Murtagh’s new story is an entirely new arc. Heughan also teased that Murtagh will have an important role as “Outlander” gets closer to the Revolutionary War. “Outlander” Season 4 airs Sundays at 8 p.m. EST on Starz.